The film ‘Devdas’ released in the year 1935, is a milestone in the history of Indian cinema; primarily because K.L.Saigal acted and sang his all time favorites- ‘Baalam aye baso merey man mein’, ‘Dukh ke ab din beetat naahin’ and just two lines of a classic thumri -‘Piya bin naahin aawat chein’ (earlier sung by Ustad Abdul Karim Khan). The music of the film was composed by Timir Baran, who played the music instrument sarod for the first time in the history of cine-music, while composing ‘Baalam aye baso merey man mein’. When Khan Saheb came to know about such singing; he called on at Saigal’s residence and asked him to sing once again in his presence. After listening to Saigal, he was spellbound over his mastery of expression and enquired as to who was his ‘Ustad’ (teacher), from whom he had learnt such singing. To this, Saigal replied that he had not learnt from any Ustad and it was only ‘Ooperwala’ (Almighty), who had taught him singing. At this, he blessed the maestro and gave him a hundred rupee currency note, which Saigal kept with him till his death, as a token of his respect to Ustad Abdul Karim Khan. During the course of shooting of the film, Sarat Chander Chatterjee, the author of his classic –‘Devdas’, visited the sets. He was deeply impressed with the acting of Saigal; though he was surprised as to how a ‘Punjabi’ could understand so intelligently the character he had depicted in his novel in Bangla. The memorable features of the film ‘Devdas’ were that it was produced and directed by P.C. 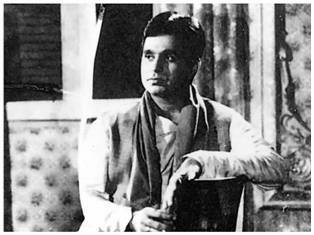 Barua (who himself acted earlier in its ‘Bangla’ version) and its photographer was Bimal Roy, who later on himself produced and directed another version of ‘Devdas’ with Dilip Kumar. And, as a mark of respect, Bimal Roy dedicated his film ‘Devdas’ to the memory of Saigal and Barua. Saigal’s songs and acting were another notable characteristic of the film. Besides three captivating melodies of Pahari Sanyal viz ‘Roshan hei terey dum se’, ‘Ujhardh chukka hei jo chhota sa aashiana’ & ‘Pee ki nazaria aye hein;’ and three enduring songs of K.C. Dey viz ’Mat bhool musafir’, ‘Umariya beet gayee saari’ & ‘Teri maut kharhee hei’. 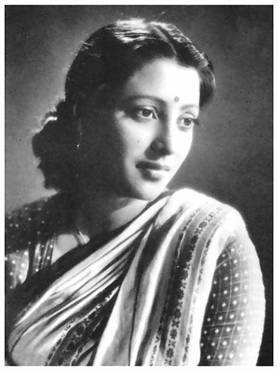 Additionally, there was an immortal thumri of Rajkumari (of Calcutta) –‘Nahin aye ghanshyam’. In this rendering she (Rajkumari) was definitely not trying to entertain anyone, but to share her own intoxication with music an act of her love. films of the previous century. Bimal Roy’s film ‘Devdas’ is yet another milestone in the history of Indian cinema. The deep understanding of the story-line and its portrayal of characters beyond description. And then, presenting them on the silver screen with a superb photographic effects with enchanting background music by the earthly S.D. Burman, excellent delivery of dialogues and above all the sets and the locations shot for the film are some of the factors which can only be categorized as ‘par-excellence’. The dialogue-writer Rajinder Singh Bedi was certainly at his best. The childhood role of Paro (Parvati) played by Baby Naaz and songs picturized on her viz ‘Aan milo aan milo shyam sanwrey’ & ‘Saajan ki ho gayee gori’; all time memorable role of Chunni Babu (played by Motilal); the depth of sorrow of Devdas conveyed in ‘Mitwaa____’ (sung by Talat Mehmmood); the sound of alarm-watch conveying the panic expressed in a letter written and dispatched to Paro by Devdas; the sequence depicting Paro’s emotional turbulence when she arrives at midnight in Devdas’ bed-room; the superb depiction of the glimpses of Chadermukhi and Paro (roles played by Vaijyantimala and Suchitra Sen) when they cross each other in the rainy and muddy village lane; the portrayal of situation when Devdas returns from Calcutta and calls upon at Paro’s house and lighting of earthern lamp; the photographic catch of Devdas, when he sings ‘Kisko khabar thee’ -shot taken through the legs of the horse of the cart. 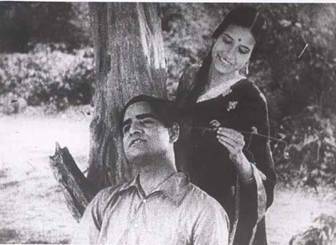 (The same shot was also taken by Bimal Roy as photographer in Saigal’s ‘Devdas’, where Saigal sang his immortal classic thumri –‘Piya bin naahee aawat chein’). The captivating scene of Chandermukhi when she says wistfully ‘Ab phir kub milnaa hogaa’ and in the back-ground Mubarak Begum’s all time great melody- ‘Wo na ayengey palat key’. The crossing of two trains coming from opposite directions. The blast of fire in the engine of the passing train depicting the condition of Devdas’ head and heart. These are some of the classic citations of the marvel of direction of Bimal Roy. The role of Devdas played with utter ease by the genius Dilip Kumar, portraying various aspects -- mental conflict, dejection and love at heart -- just cannot be expressed in words. It can only be felt and experienced. But the fact remains that he was certainly at his career best in this film. Above all, I would like to draw the attention of the readers to the depiction of the last ten minutes of the film, which needs to be written in golden letters. Devdas alights from the train at Pandua station, leaving behind his trusted servant- Dharam Das (role played by Nazir Hussain). He takes a bullock-cart for his last journey to Manikpur (Paro’s village). The portrayal by flashback of the significant events of his early life during the bullock-cart journey and his eventual collapse at Paro’s doorsteps and the agony of Paro on hearing from her step-son the contents of letters found from the pocket of the unknown body which reveals to her the identity of the deceased as Devdas, simply stuns the mind of the viewer watching the film. What better direction in the ambit of cinema can one expect! And, then the classic depiction of two birds flying before the film comes to ‘The End’. Inspired by the grand success of these two versions of –‘Devdas’; Sanjay Leela Bhansali made a third attempt whose unabashed opulence was in stark contrast to the austere ambience of its predecessors. A large number of viewers went to cinema halls to see as to how he had portrayed the legendary ‘Devdas’. Without going into the details of the glamour, the amount of wealth spent on the star-cast, the sets, the costumes and above all the publicity and hired press reviews; I feel it would have been most appropriate if the film had been named as –‘DAVID-DAS’.